It happened! It actually happened, I've been writing my blog for over two years now, I've had many blog redesigns and taken plently of blogging break, but last month I came back and I've felt so refreshed about the direction I want to take this blog...you may have found my blog through twitter as I've been posting my like crazy, especially this weekend, oops. I went to sleep in the early hours of this morning and I woke up today to that WOWSA! email, saying that See The Stars has reached 1000 on BlogLovin. I knew since I started my blog that once I'd hit 1000 I wanted to open a giveaway for everyone to enter and I wanted it to be an exciting giveaway! I've been thinking about it for a while, what would I love to see in a giveaway, what would I enter for. And that's when I realised I wanted to host a giveaway of a Box of Favourites. A box of products I've brought, used and loved and repurchased for someone else to love....Y'know what, I'm so excited this post just isn't making any sense. I've decided to host a give away as a MASSIVE thank you to everyone who's followed since, if it's since the start or only the other day. You've helped me build up my little corner on the internet into something I've fallen in love with. So this is my way of saying thank you, thank you for all the comments, the support and even just spending the time to read whatever it is that I've rambled on about in each and every post. 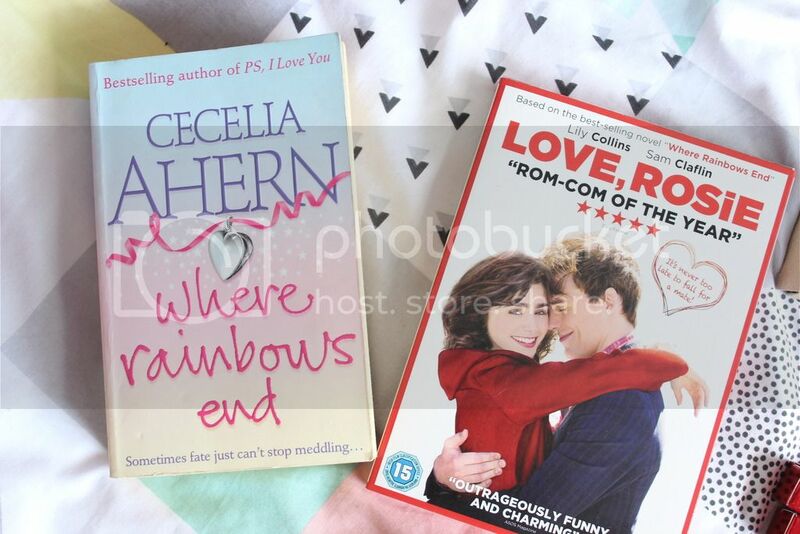 ♡ Love, Rosie DVD & Where Rainbows End Book. - Follow everything in the Rafflecopter widget. - Sadly due to postage costs, I can only afford to send this item within the UK. - You'll have up to 5 days to respond once I've announced the winner or a new winner may be chosen. -This giveaway begins today - 8 June & runs for a whole month. The winner will be announced on the 8th July. I don't think I could pick a favourite item, I love them all haha!!! Congratulations on reaching 1000 followers, that's fantastic! My favourite thing from your giveaway is the 'Expect Nothing, Appreciate Everything'. Congratulations on hitting 1000 followers it is such an achievement! What a lovely little giveaway I would love the DVD as I watched that a few weeks ago and loved it! Congrats on 1000 followers, this is such a great giveaway! Congratulations on 1000 followers! I'm really excited for the jelly beans and the body mist, they look lush. 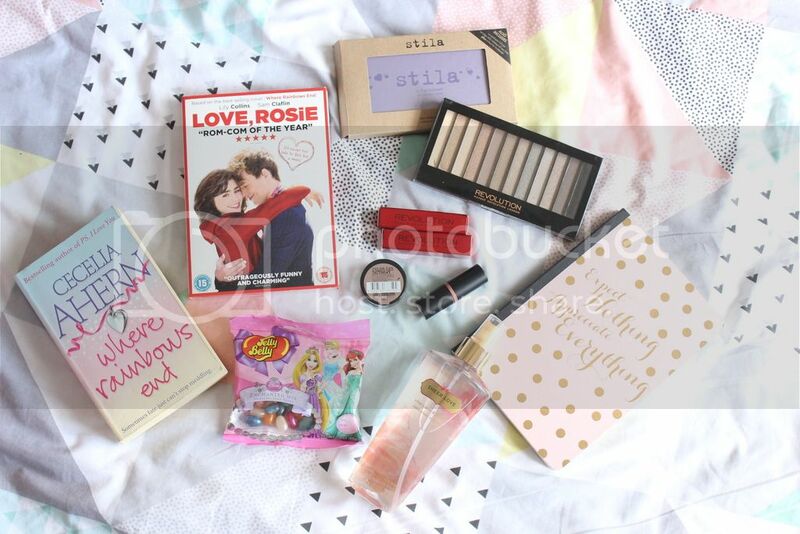 You are my favourite thing, but out of the items up there... can I pick the Stila palette AND the notebook? congratulations on 1 thousand! my favourite thing is the notepad ...but I love the pallet also haha. ..actually there a few things I would pick as my favourite. ..sorry! Can I say my favourite thing is you? does that count? My favourite thing is reading in a hot bubble bath! And my kids! Congrats! You really deserve it! My favourite thing is the notebook, its so cute. But I have also always wanted to try the Stila palette. I would love it to be for the US too :(Good luck with your giveaway and congratulations!!! Congrats on all the followers, fab achievement! My fave thing is probably the book, I'm really into my reading at the moment. Congrats on 1000 followers! 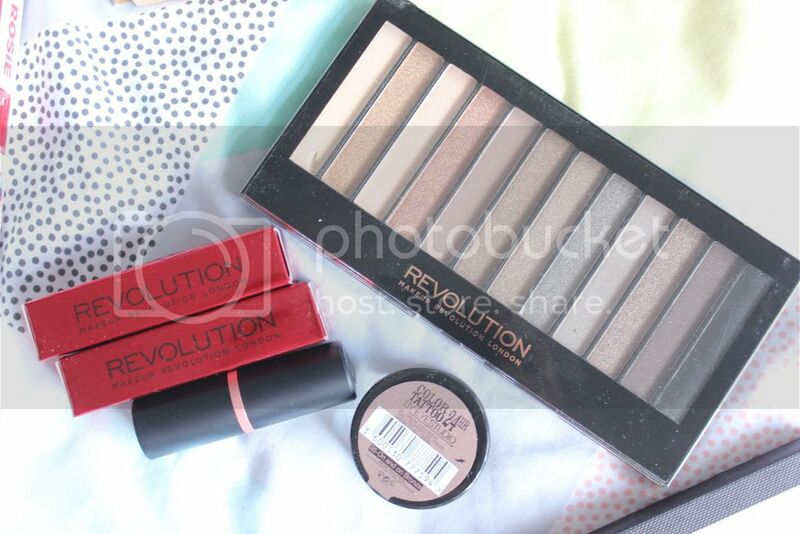 I love the eyeshadow palette fingers crossed! Thank you for hosting this giveaway! It's lovely! I love all of the things you've chosen I think it's a wonderful giveaway but my most fave are the Makeup Revolution Palette because the colours are just beautiful & the Where Rainbows End book because it's on my book wishlist and looks soo good!! Thank you for the opportunity hun! My favourite thing is the Love, Rosie DVD. I am absolutely in love with the film! I remember when it came out in the UK I was in France and I couldn't see it in the cinema and was devastated. I could tell from the trailer that it was exactly the kind of film I'd love, and sure enough it's now quite possibly my favourite Chick Flick! Well done on 1000 followers! Exciting stuff :) Stila palette does it for me! This is such a fantastic giveaway. Huge congratultions on reaching 1,000 followers! I watched Love Rosie on the plane on the way home from Mexico & loved it, you just can't beat a rom - com ;). Love, Rosie DVD & Where Rainbows End Book great for my teen. My favourite is the Disney Jelly Belly's! What a lovely giveaway! 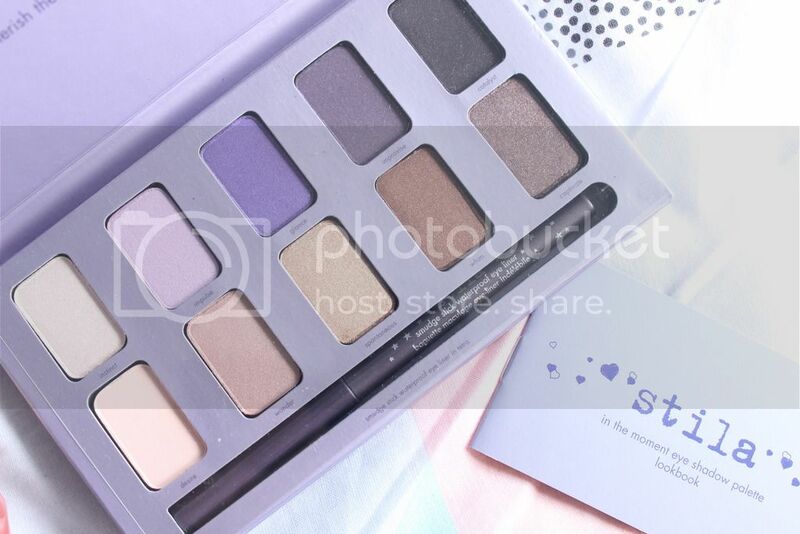 The Stila palette looks pretty good to me, i'd love to give it a try! Congrats on 1000 followers! I love the notebook, it's so pretty, and I'd love to try that Stila palette!